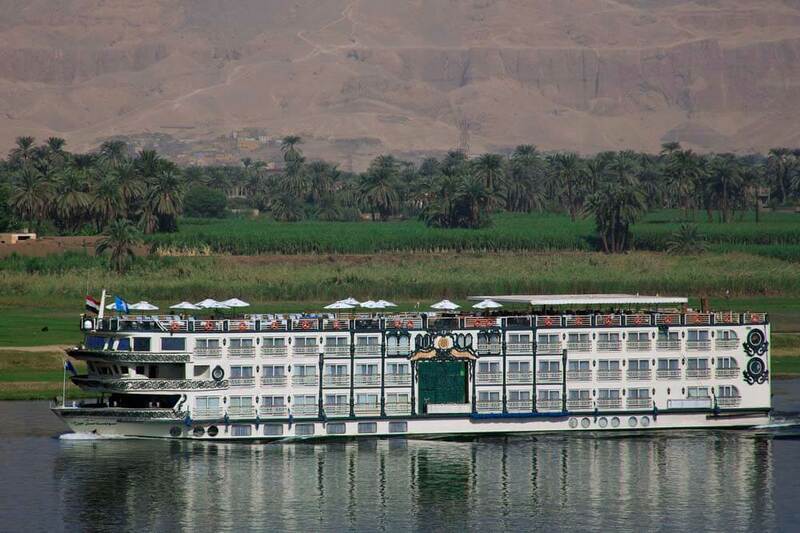 The newest vessel in Sonesta’s fleet, St George I, is considered one of the most elegant vessels on the Nile. With its Frenchstyle décor and ambience, the vessel provides the highest levels of comfort complimented by very personal service. The 57 deluxe cabins and suites are luxuriously appointed, each with panoramic French windows. Amenities include a sophisticated dining room, two comfortable lounges, a large pool and a sun deck. St. George I operates 4, 5 or 8-day cruises between Aswan and Luxor or vice versa. The five-star Sonesta Moon Goddess has long been a firm favourite with travellers on the Nile, and remains every bit as luxurious and comfortable as when it entered service in 2001. Guests enjoy a remarkable level of hospitality and service. There are just 50 elegantly decorated and appointed guest cabins and suites, each with private balcony. Excellent facilities include a fine dining room, a state-of-the-art casino, spacious gym, outdoor pool and sun deck. Moon Goddess operates 5 or 7-day cruises between Aswan and Luxor or vice versa.